Making Use of Good Debt. Limbaga and the author in her mini grocery shop in Bislig City. Bislig City – Microfinance is the provision of access to financial products and services to low income groups. These include savings, loans, insurance, payment facilities and pre-need plans. Financial inclusion is important because access to financial services allows the poor to seize economic opportunities. Maricel Limbaga, 39 years old, has been a member of a microfinance institution (MFI) for the past four years. 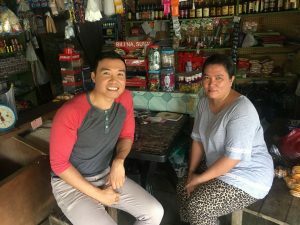 She started with PhP3,000 in her first loan cycle and now she’s able to access PhP50,000 on her ninth loan cycle. “I used the loan proceeds strictly for my business. I also did proper budgeting and made sure to separate business expenses from luxuries” she said. The National Baseline Survey on Financial Inclusion reported that 47% of Filipinos borrow money. However, an astounding 72% of them access loans from informal sources – from family, friends and unregistered money lenders. 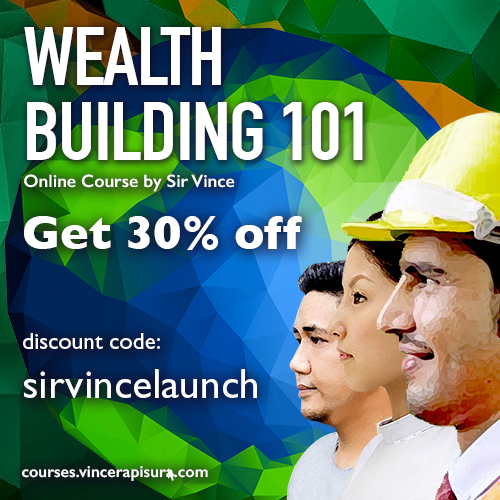 Only 15 out of a 100 Filipinos can borrow from formal financial institutions. A third of this access loans from MFIs. Microfinance loans or microcredit offer low interest rates compared to informal lending sources such as loan sharks and five-six. Clients like Maricel need not provide collateral as security for the loan and need not submit a lot of documentary requirements or fill out voluminous forms. The government recently pronounced that it would be aggressive in stamping out informal money lenders that charge exorbitant interest rates that could go as high as 500% effective interest rate per annum. Most MFIs charge 70% effective interest rate per annum which is comparable to credit card interest rates. Small Business Corporation (SBC), a government owned and controlled corporation, will manage a PhP19B initial fund from the Department of Trade and Industry to combat these informal money lenders. SBC will identify MFIs in priority areas to act as conduits. Our training, research and consulting firm, SEDPI, annually collates impact assessment studies of MFIs. In 2016, we conducted impact assessment to four MFIs with a total of 663 respondents nationwide. The impact assessment showed that 52% of microfinance clients reported increase in income in the past 12 months. Only 6% reported decrease in income while the rest reported that income stayed the same. Majority of those who experienced increase in income identified increase in business sales and business expansion as main reasons for the increase. MFIs require that clients use loans for income generating activities. The impact assessment showed 94% compliance rate. The research also revealed that microfinance clients have improved economic wellbeing. The income derived from business helped them to send their children to school (75%); repair their homes (50%); and improve their diet (47%). Microfinance is pro-poor because it offers financial services that fit the preferences of low income households. It is an effective development tool but is not panacea to address all social ills. When asked for advice she would give to aspiring microentrepreneurs, Maricel said, “My advice is for them to start small and then gradually grow their business. There is room for growth and expansion for the microfinance industry in the Philippines. There are a lot of microentrepreneurs, like Maricel, who could benefit from microfinance. The close collaboration of the government and MFIs is an effective strategy to use microfinance as one of the tools to eradicate poverty in the Philippines. Dapat po kasi sa formal financial institutions siya nangungutang hindi sa five six. Sabihin mo sa mother mo sa banko, rural bank, cooperative or microfinance NGOs siya kumuha ng loan. Mas mababa nang di hamak ang interest rate dun.